I have reluctantly decided to sell my beautiful Enzoani wedding dress. It is a size 12 but I would say the size is quite small. 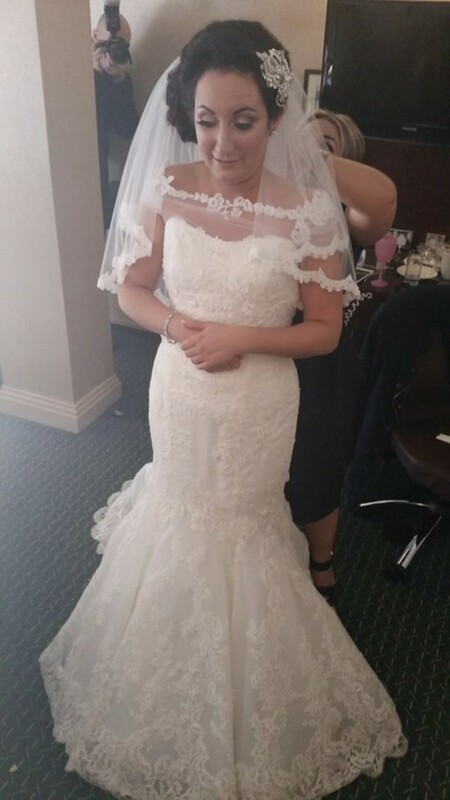 I wore an additional piece over my dress in the day time which I took off in the evening (this is is not included in this sale) The dress on its own is strapless as can be seen on the photo where the dress is hung on it’s own and the dress where the two bridesmaids are helping me to get ready. The dress is a zip back but is covered by small buttons. Shape is very flattering. Once you send a message, Danielle can invite you to purchase the dress.